We are a general practice law firm that serves all of your legal needs, particularly in the areas of family law (divorce, alimony, child custody and visitation, and child support); real estate; criminal defense; consumer protection to individuals and small businesses in Tyler and its surrounding counties in east Texas. We also offer mediation services. 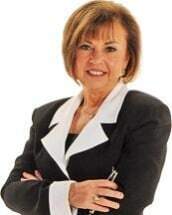 Attorney Diane Heindel is certified to mediate in all Texas courts. MoreWe are a general practice law firm that serves all of your legal needs, particularly in the areas of family law (divorce, alimony, child custody and visitation, and child support); real estate; criminal defense; consumer protection to individuals and small businesses in Tyler and its surrounding counties in east Texas. We also offer mediation services. Attorney Diane Heindel is certified to mediate in all Texas courts. We offer affordable fees that are competitive with those of other attorneys in Tyler. We look forward to serving your legal needs. Unlike many of the larger law firms, we don't view our clients as just file numbers in a "settlement factory". Our focus is on each of our clients' unique needs. We will do everything necessary to keep you informed and knowledgeable about your particular legal problem. That means that we stress personal attention, responsiveness, and accessibility: We listen to you. We return your phone calls promptly. We regularly report to you on the status and progress of your case. Our philosophy is to try and negotiate or mediate a fair settlement without going to court whenever possible. If handled properly, mediation and arbitration are less costly and more expeditious than trials. Clients should realize that they will have more control over the outcome in a mediation as opposed to a trial. But if a fair and just negotiated or mediated settlement cannot be reached, you can rest assured we are not afraid to try lawsuits: if a trial cannot be avoided, we will aggressively advocate for your rights and your interests in court. In short, it is our core commitment to focus on each client's individual background, objectives, and goals. We welcome the opportunity to serve ALL of your legal needs.